This ancient peppercorn is a “true pepper.” Appreciated since antiquity for its mysterious aroma with faint hints of incense and camphor. Cubeb goes well with red wine sauces, wild game and chocolate. 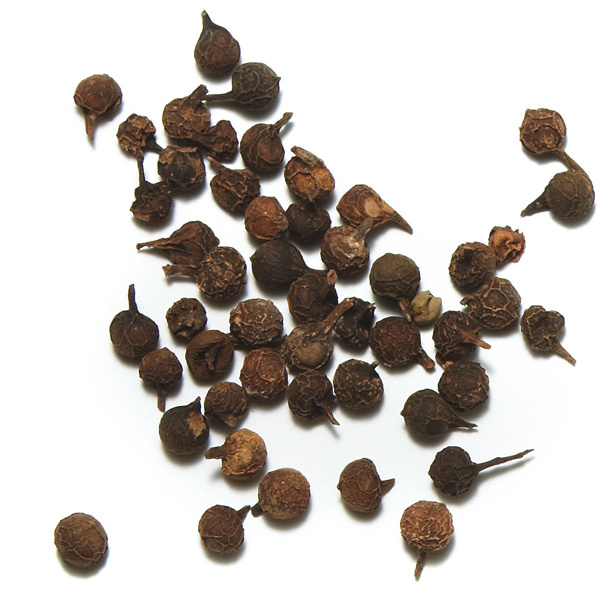 Also known as Tailed pepper, Javanese pepper or kemukus. 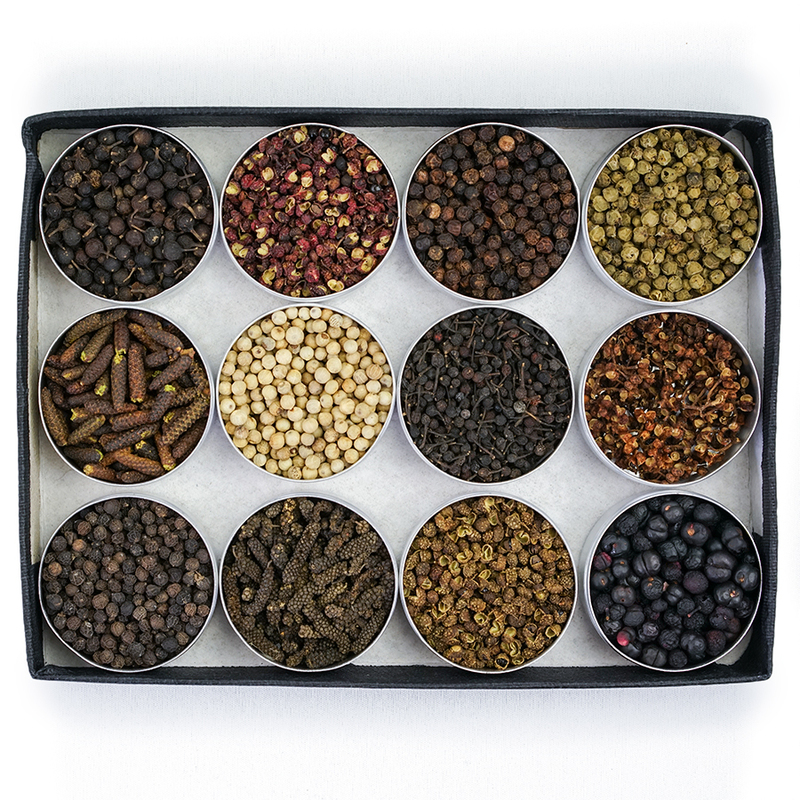 Popular in Europe during the Middle Ages, cubeb has been regaining popularity in Western cuisine. Woody scents of camphor blend seamlessly with other peppers into an aroma suitable for red meats and game. Cubeb gives an exotic dynamic to dark chocolate desserts and truffles. 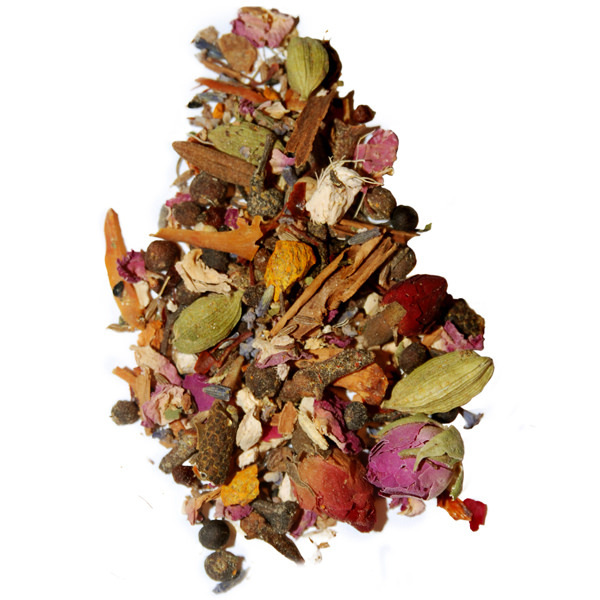 An indispensible ingredient in the Moroccan blend, Ras-el-Hanout and our ever popular, Eight Pepper Blend. 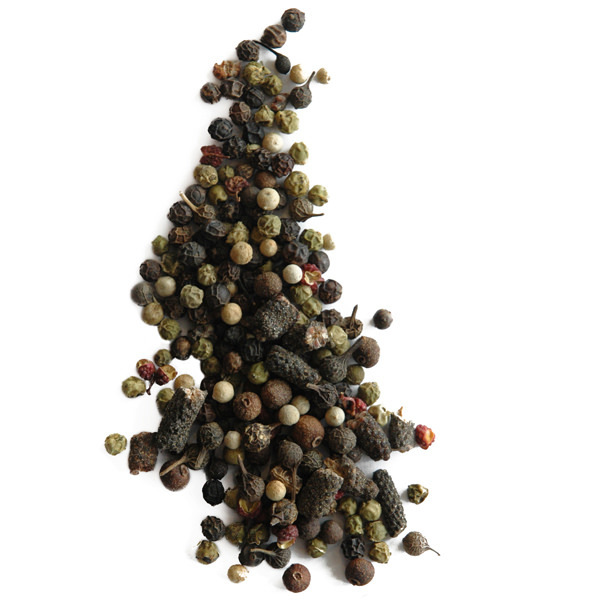 and our ever popular, Eight Pepper Blend.